The Jim Henson Company has appointed Claudia Balzer Scott-Hansen as senior VP of global distribution. She will report into Chris Lytton, COO and executive VP of strategy and business affairs. 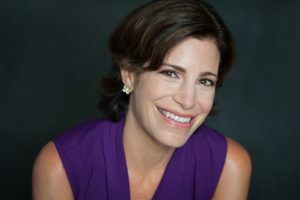 Scott-Hansen most recently served as VP of business development at 9 Story Media Group, where she led the company’s global partnerships, as well as the strategic management of the Digital and Consumer Products divisions and worked to align development and co-production partners to finance the production of new properties. Previously, she was senior VP and group director of broadcast for the Americas and EMEA at HIT Entertainment. Prior to joining HIT in 2006, Claudia was head of formats and head of Southern European Distribution at BBC Worldwide, based in London. Scott-Hansen and her team – which includes Henson exec Anna Moorefield, VP of global distribution – will focus on licensing Henson’s children’s, fantasy and sci-fi programming across television, digital and DVD rights. Topping the slate is series five of CGI-animated program Dinosaur Train (11 x 22 minutes), which explores natural science via Buddy, the young tyrannosaurus, and his adoptive family of Pteranodons. Other priorities for Balzer Scott-Hansen include preschool Universal Kids and Hulu series Dot, on digital citizenship; the marine biology-themed PBS Kids series Splash and Bubbles and Hulu original Doozers, featuring Jim Henson characters from Fraggle Rock. Lytton said: “Claudia has a rich knowledge of the media landscape and a deep understanding of the ever-changing opportunities for innovative content producers like The Jim Henson Company.